Our first journal club on April 15th, 2019, from 7 to 8 pm at Carleton University, Steacie Building 103. 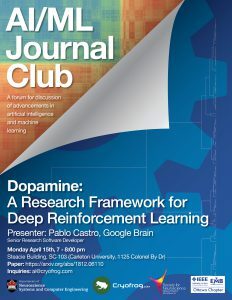 Pablo Castro from Google Brain will discuss the Dopamine framework for deep reinforcement learning. 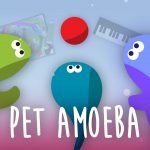 Join us for this exciting event, hosted by the departments of Neuroscience and Systems & Computer Engineering at Carleton University, featuring Pablo Castro, Senior Research Software Developer at Google Brain. 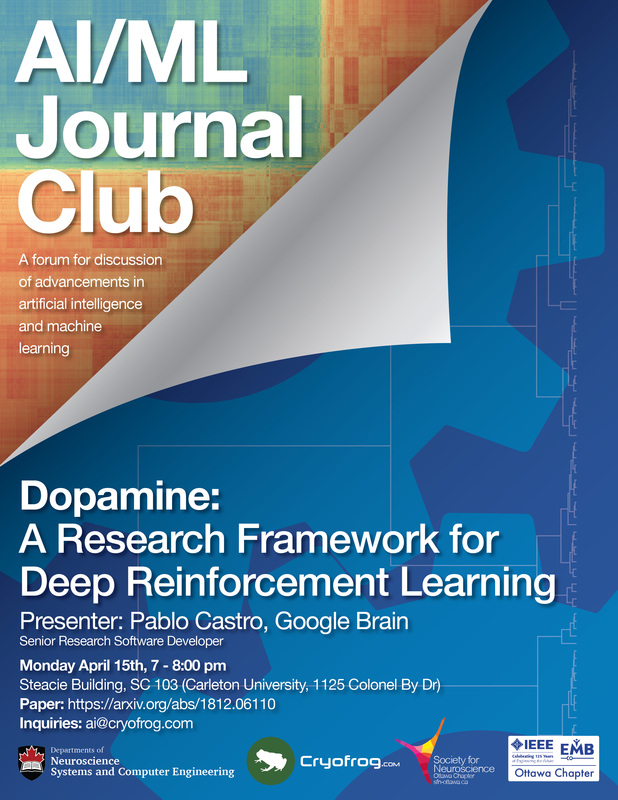 Dr. Castro will be discussing the Dopamine framework, a TensorFlow platform for fast prototyping and benchmarking of reinforcement learning algorithms. 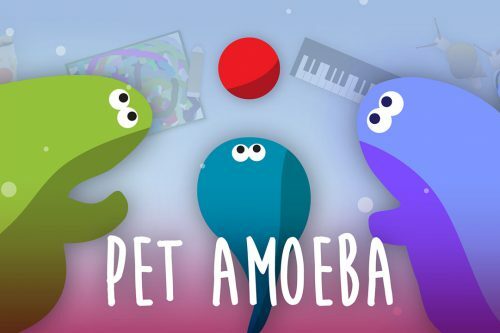 Join us on April 15th, 2019 from 7 to 8:00 pm at Carleton University, 103 Steacie Building in Ottawa, Canada. 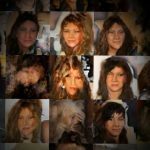 Deep reinforcement learning (deep RL) research has grown significantly in recent years. A number of software offerings now exist that provide stable, comprehensive implementations for benchmarking. 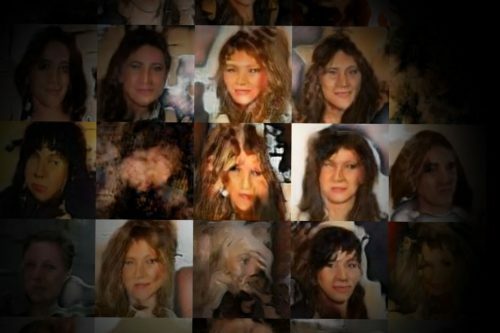 At the same time, recent deep RL research has become more diverse in its goals. 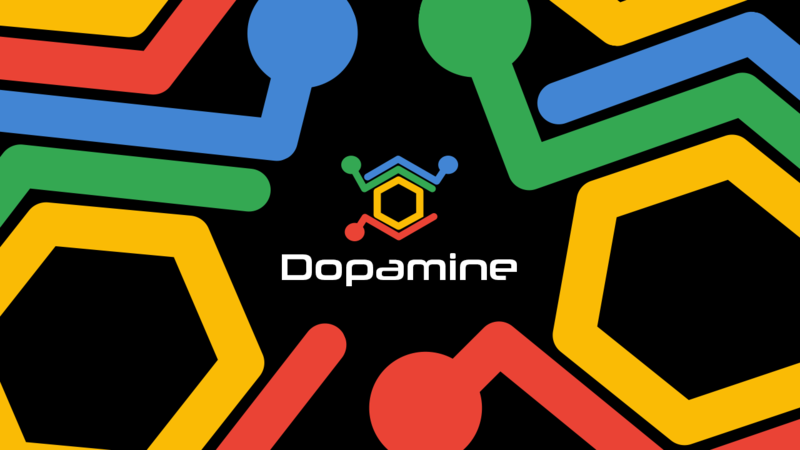 In this paper we introduce Dopamine, a new research framework for deep RL that aims to support some of that diversity. 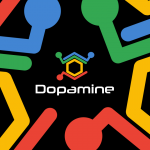 Dopamine is open-source, TensorFlow-based, and provides compact and reliable implementations of some state-of-the-art deep RL agents. We complement this offering with a taxonomy of the different research objectives in deep RL research. While by no means exhaustive, our analysis highlights the heterogeneity of research in the field, and the value of frameworks such as ours.